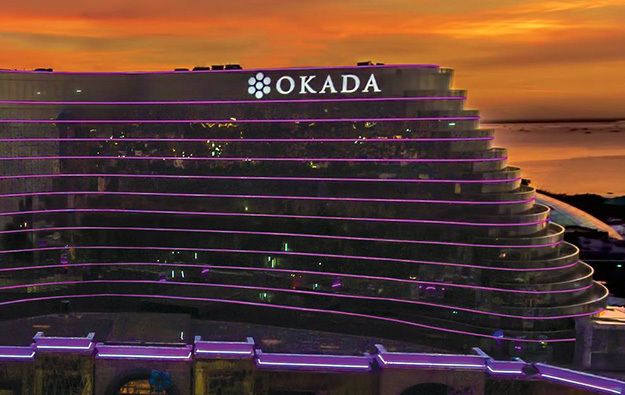 The Okada Manila casino resort (pictured) in the Philippine capital has issued a statement saying that operations were “unaffected” by the announcement that Japanese gaming conglomerate Universal Entertainment Corp had moved to suspend the powers of its chairman Kazuo Okada. Universal Entertainment has accused Mr Okada and a fellow director of “a serious violation of governance” in relation to a March 2015 transfer of an HKD135-million (US$17.3-million) loan. The Okada Manila resort is promoted by a firm called Tiger Resort, Leisure and Entertainment Inc, a subsidiary of Universal Entertainment. “We acknowledge the statement issued by Universal Entertainment Corp… [on] 8 June 2017. Currently, the matter is going through review, thus we cannot make any statements at this time. Operations at Okada Manila are unaffected and ongoing,” said the statement from Tiger Resort Leisure and Entertainment, carrying Friday’s date.